The race-bred RS-1 exhaust has proven to be extremely popular among rider looks for a combination of performance and value. It enhances performance dramatically, provides an enviable exhaust note and offers the unmistakable look and sound of Yoshimura. 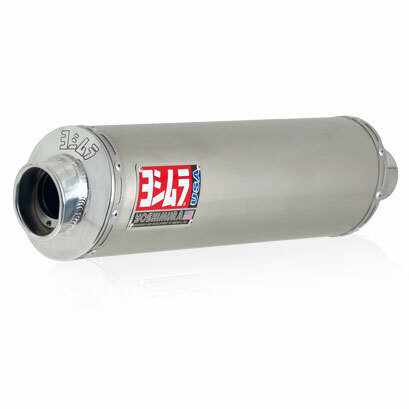 RS-1 mufflers feature a straight baffle that leads to a single turn-down machined aluminum end cap.